Herrngasse 20, 91541, Rothenburg ob der Tauber, Bavaria, GERMANY. 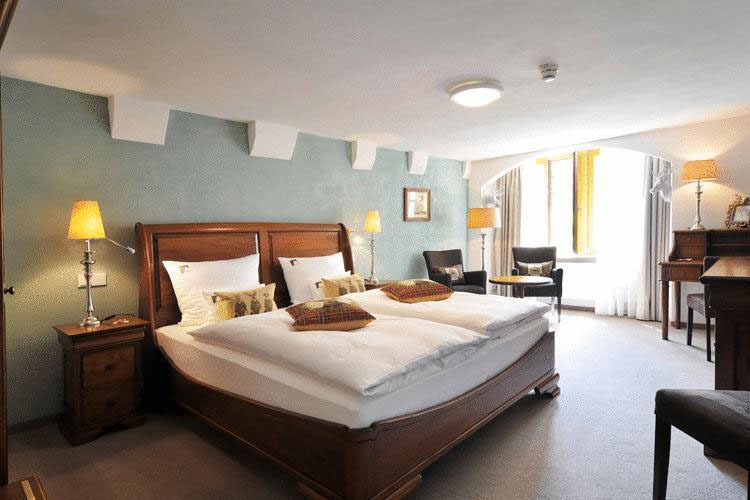 Set in one of the oldest preserved residential houses in Germany, Hotel herrnschlösschen was built in the 11th/12th centuries as a residence for a Franconian nobleman. 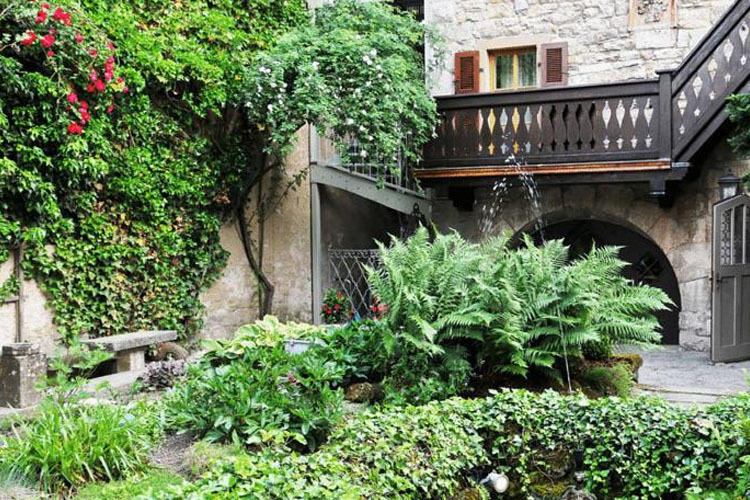 Lovingly restored by its present owners, this delightful property offers genuine boutique accommodation and fine cuisine in the heart of the beautiful Medieval town of Rothenburg ob der Tauber. 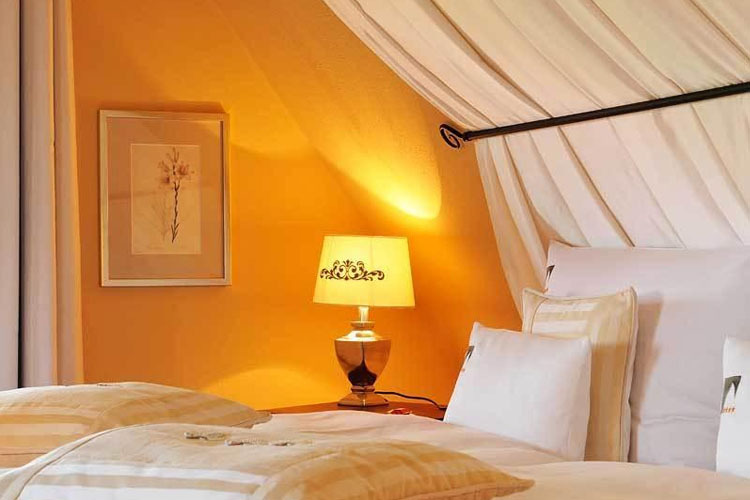 With just four deluxe rooms and four suites, intimate, relaxing stays are guaranteed at Hotel Herrnschlösschen. This historic property features the stylishness of an ancient manor house, with massive exposed oak beams, stone and brickwork, combined with exclusive styling and extraordinary interior design, run by a small and dedicated team. 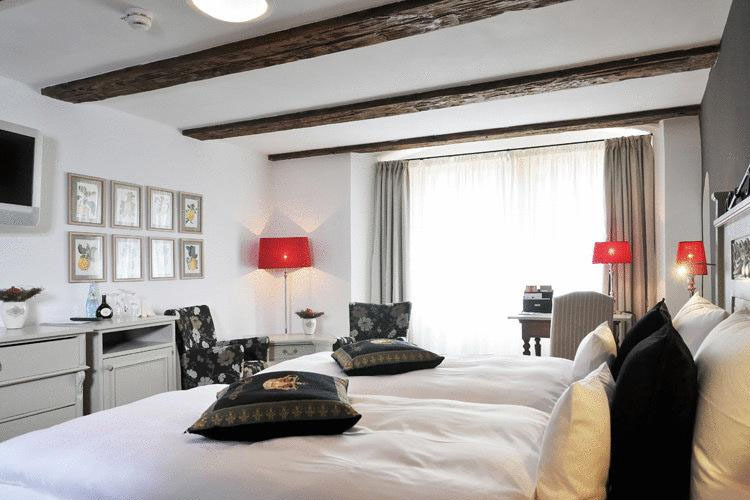 Ideal for spontaneous pampering weekends and seductive gourmet treats, the hotel is just footsteps away from all of the most important landmarks in this fascinating historic town. 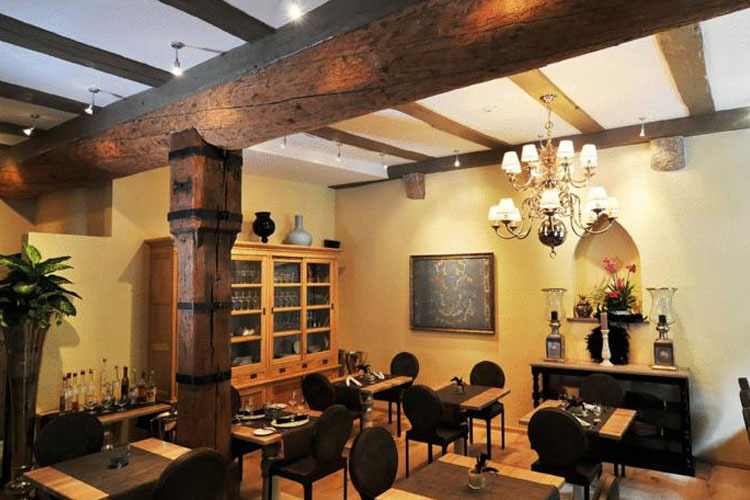 The Hotel herrnschlösschen restaurant serves themed gourmet international cuisine in the unique atmosphere of the historic dining room, presided by the mighty truss beam dating from 1526. 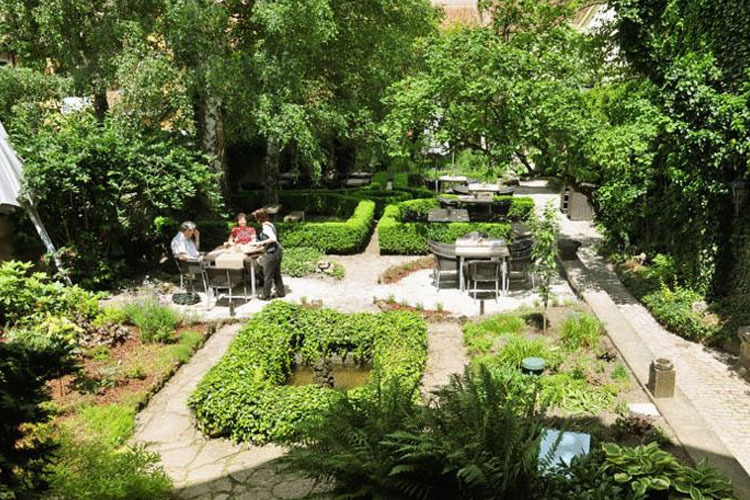 In fine weather, the baroque garden terrace is a delightful spot for outdoor dining, while the hotel also boasts a private dining area in the cellar, the Herrnzimmer, which can also be reserved for small business meetings. Guests at the hotel also have exclusive use of the Vital Vault wellness area. Fluffy and soft, with white furniture and a smooth touch of blue, this spell-binding room comes with the original wooden floor and interior window shutters, giving the room a traditional character. 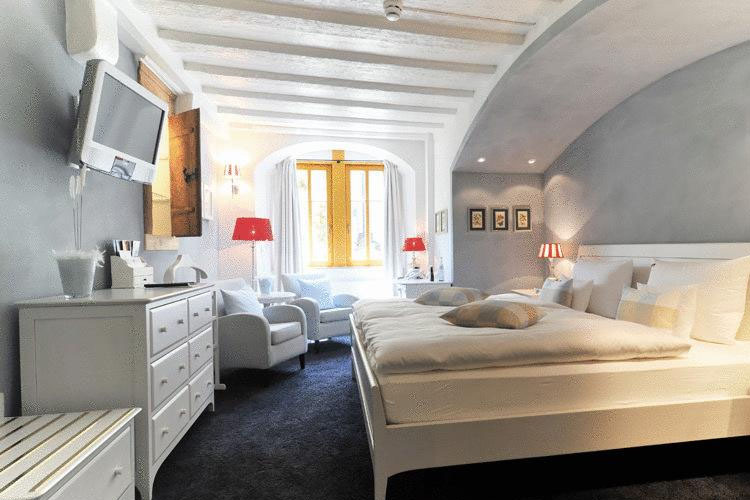 Not the largest Deluxe double, but extremely charming and with a lovely view of the Herrngasse and the church. Room size 24 sq m.
Country style, space and airiness. This room comes with patina furniture and offers a quiet and relaxing atmosphere. 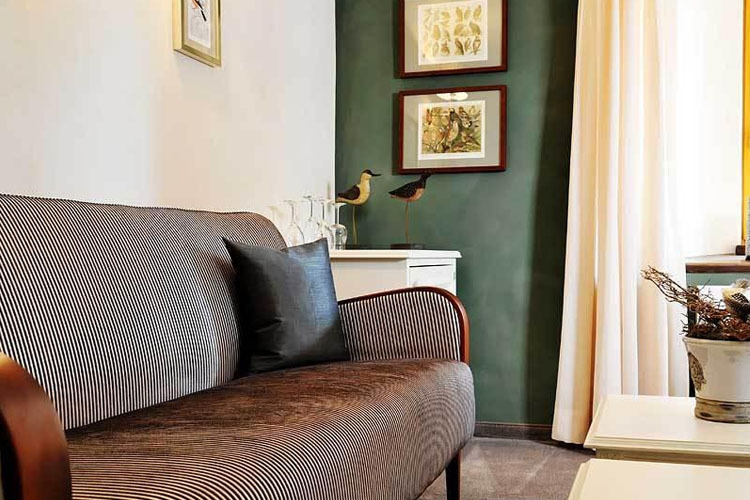 Decorated with hints of a hunting style, the Woodland room has lovely views of the Herrngasse and the church. Room size 27 sq m.
Comfort and aesthetic pleasure for sophisticated travellers. A real ray of Greek mythology in a large, light-filled space. This room features startling decoration themed around the most sensual fruit. It also offers a lovely view of the Herrngasse and the church. Room size 29 sq m.
Enchanting flowers not only during winter time, this room features surprising décor, powerful, red, floral. 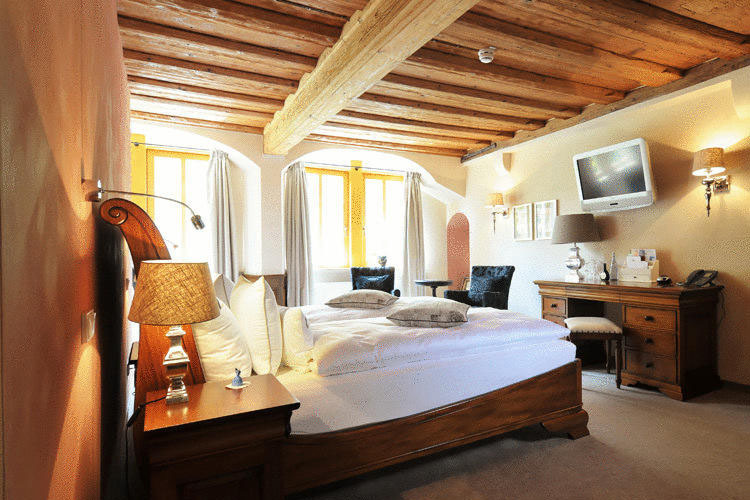 Luxuriousness and originality in a spacious deluxe double room, with lovely views of the Herrngasse and the church. Room size 36 sq m.
This beautiful, subtly distinguished suite is located on the second floor, and features soft tones and a refined atmosphere. It offers unique views of the Baroque garden. 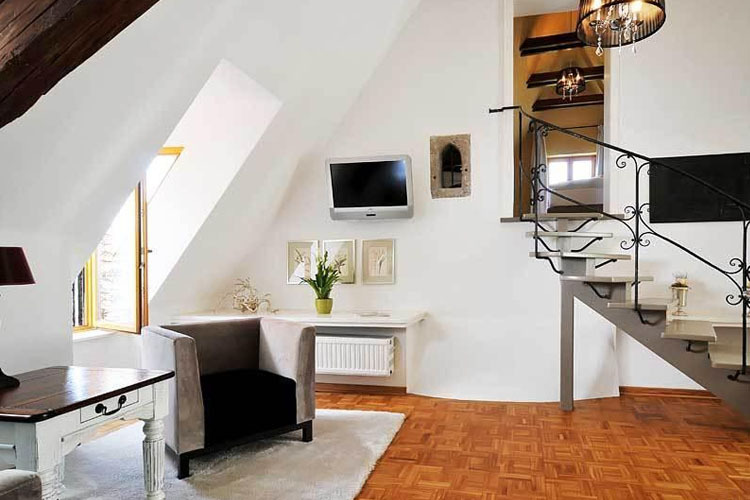 Suite size 40 sq m.
This charming suite features manor-house design under the eaves. The symbol of purity and beauty, the lily is reflected in the delicate interior design, with soft, saffron-yellow tones. The cosy sleeping area is accessed by the original staircase, small but not steep. 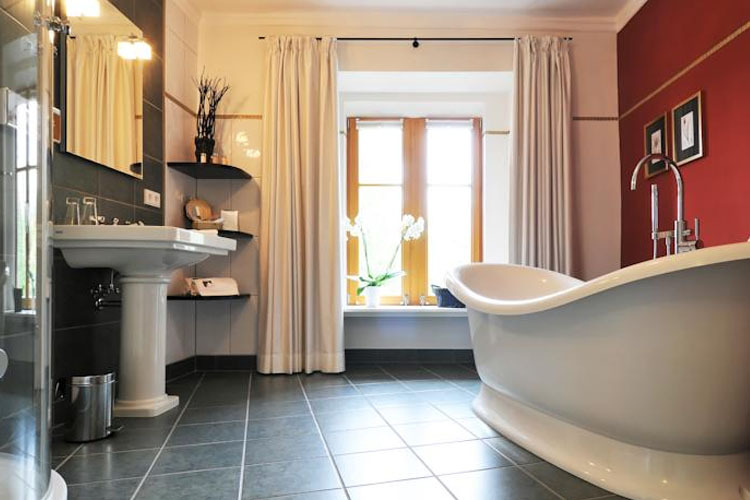 The suite comes with a spacious en-suite bathroom with bathtub and shower, and is fully air-conditioned. It offers a charming view of the Baroque garden. 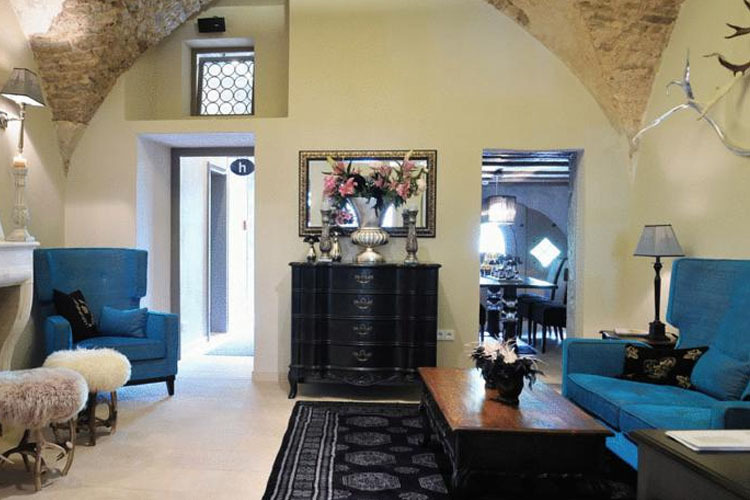 Suite size 41 sq m.
Not just for honeymooners, this immense suite has an elegant, luxurious and voluptuous atmosphere. 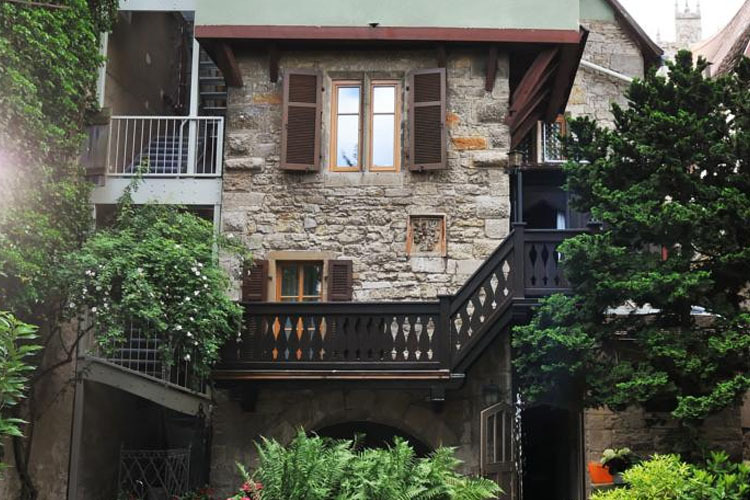 It features a private balcony with romantic garden views, and an imperial en-suite bathroom with an Italian shower. Suite size 57 sq m.
This classic, spacious suite is arranged on two floors under the mansard roof of the house. Highlights are the original exposed timber beams, contrasting with the white, soft tones of the interior design, featuring natural materials such as nacre, green leaves and wood. Air-conditioned, it also features an en-suite bathroom with an Italian shower and separate bathtub. 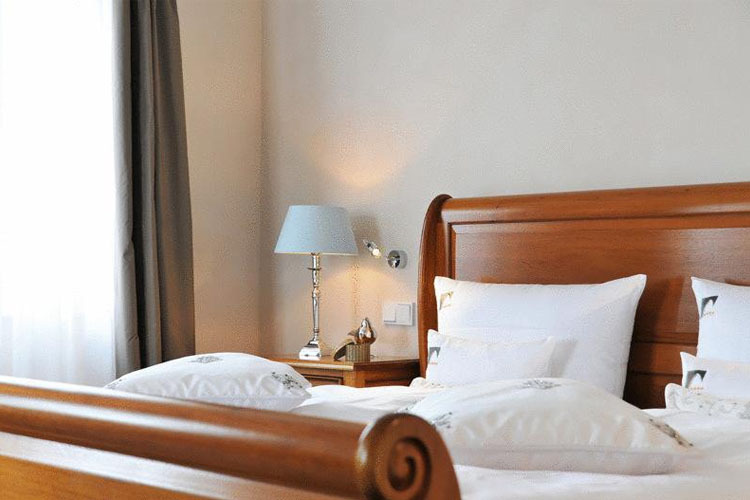 Suite size 67 sq m.
Air-conditioning is available in the two top-floor suites. 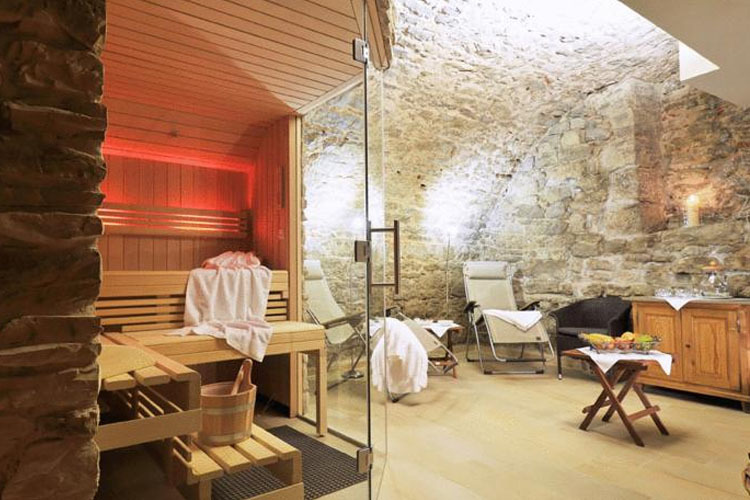 The hotel's Vital Vault sauna is exclusively reserved for guests and is free of charge. Private parking is available on site. Reservation is necessary and charges apply. Year of establishment and/or latest refurbishment: 11th century. Credit cards accepted: American Express, Visa, Euro/Mastercard, Maestro, EC-Card. Restaurant closed: The restaurant is open from Wednesday to Sunday for lunch and dinner. Nearest airport: Nuremberg Airport - 81,3 km. Golf - 11,5 km: Golfpark Rothenburg-Schönbronn. A unique guide of boutique hotels of the world, design and charming hotels for discerning travellers. © Copyright 2003 - 2019 World Travellers On Line S.L.